Similarly, there were almost no college athletic scholarships for women 40 years ago. Now, almost 200,000 women play college sports, and many of those athletes get scholarships. But there is still significant work to be done. The playing field is still not equal despite Title IX. Representative Patsy Mink of Hawaii, Title IX co-author, for whom the law was renamed in 2002. 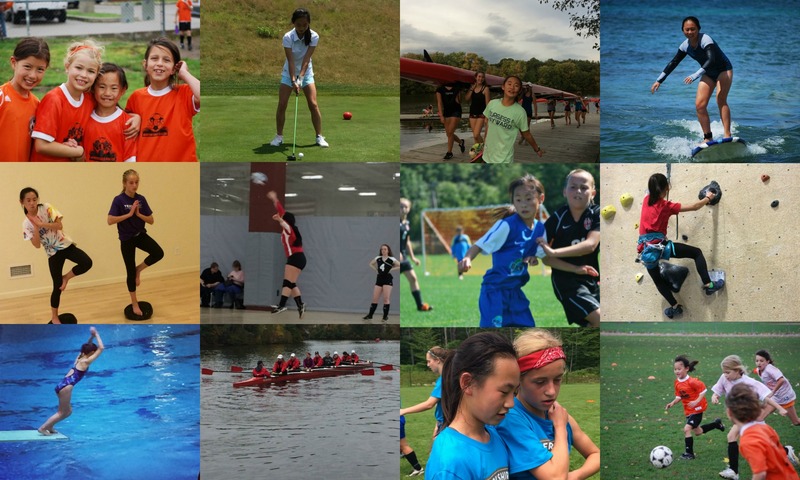 Girls (and boys) of color still lack access sports. ** This is an issue of poverty that also affects children who are not of color. The rise of club sports monetizes youth development in sports, shutting out those who can’t pay to play. And, the path to playing sports in college is often determined by the ability of parents to pay for development. And, at the college level, despite Title IX, inequity exists, favoring boy’s sports over girls in terms of getting money and attention, particularly those that generate box office sales. There’s also one trend since Title IX that no one seems to talk about. The number of female coaches has plummeted in college sports since 1970. *** Female coaches led 90% of women’s college teams across 24 sports in 1972, but that number has fallen to 40% in 2016 according to a report released by the N.C.A.A. Before Title IX, coaching girls sports in college was not a respected or lucrative career. By way of example, let’s look at legendary basketball coach Pat Summitt. She her career at the University of Tennessee in 1974, earning $250 a month. Before retiring in 2012, she made more than $2 million a year as the head coach. Summitt is one of just five female head coaches in any sport to win eight team titles at the Division I level. And while 58.6% of Division I head coaches were female, no Division I program out of the 300+ programs had a majority of female head coaches. What is the cost of not having female role models in coaching? Does that affect keeping girls in sports? The stats are sobering for youth sports. 70% of all kids quit organized sports by the age of 13, with girls quit organized sports 6x the rate of boys. 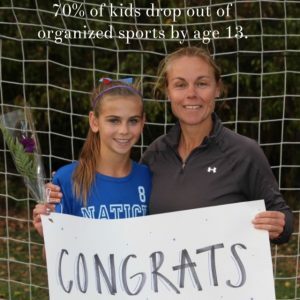 Research from the Womens Sports Foundation and the Tucker Center for Research on Girls & Women in Sports indicates that the drop out rate of girls in sports is highly correlated with female role models as coaches. So, the question is, how do we get women back in sports as coaches? What is that hurdle? On the professional collegiate level, the drop off of female coaches can be attributed to the influx of competition for the job from men, discrimination against lesbian coaches, and the challenging work-life balance of working mothers coupled with the travel required to coach. But what about non-collegiate coaching? 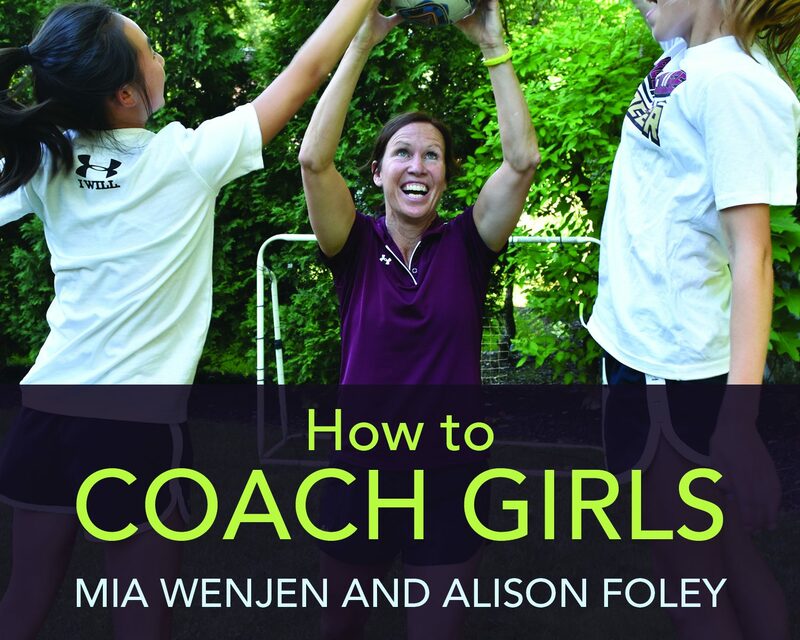 Where are the women coaches in youth sports organizations and secondary schools? The stats are even worse than in college coaching! According to a 2015 survey conducted by the Sports and Fitness Industry Association, one of the few national organizations that carries out research on youth sports, only 27 percent of the more than 6.5 million adults who coach youth teams up to age 14 are women. While not all male coaches ascribe to this philosophy, it’s not uncommon today to see this play out at all levels of sports, including youth sports. It’s also possibly one factor in in the high rate of youth drop out of sports for both boys and girls. 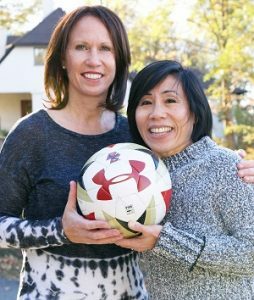 Alison Foley, Boston College Women’s Soccer Head Coach, and Mia Wenjen, parenting blogger at PragmaticMom.com. Photo credit Zoe Lee. 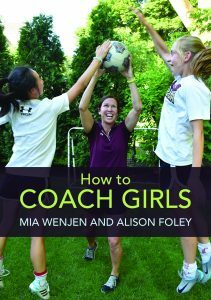 Alison Foley, Boston College Women’s Soccer Head Coach, co-wrote HOW TO COACH GIRLS with parenting blogger, Mia Wenjen of PragmaticMom.com. Her experience is that girls respond differently than boys to coaching philosophies such as Luther Halsey’s. Girls want to be pushed but they need positive reinforcement. Female players can’t be in the unknown. The number one thing that keeps girls in sports, they found, is to make them feel valued and respected. This goes beyond girls’ performance on the field. Girls need a whole child approach. They need to develop a relationship of trust with their coach before they can accept feedback. Viewing them simply as athletes will result in the high number of girls quitting sports that we see today. There is much work still to be done to keep girls in sports. Examining the factors that contribute to the high rate of girls leaving sports singles out a huge casualty from Title IX, the loss of female role models at all levels of coaching. 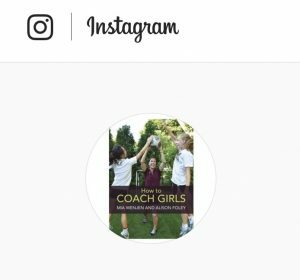 We wrote How To Coach Girls to share “trial and error” lessons to help coaches, both professional and parent volunteer, keep girls in sports. It’s available through Audrey Press, Amazon and Barnes and Nobles. Previous PostPrevious We’re in the Newton Tab!